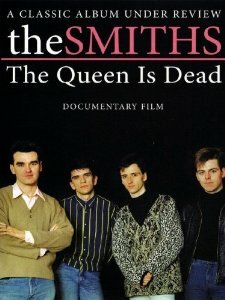 Meanwhile, a 2008 documentary examining the Smiths' 1986 album The Queen Is Dead has surfaced (in part) on You Tube. The Smiths: The Queen Is Dead - A Classic Album Under Review features interviews with the band and key players like Tony Wilson and Stephen Street, plus some rare footage and performances are included. A portion of the two-hour doc has appeared online and can be viewed below. A few copies of the DVD are available to purchase through Amazon (note DVD specs before purchasing).